Tesla has always impressed with its consistent branding and keen marketing; the brand’s style is unique and appealing, establishing its own identity and aligning it with upscale functionality in a manner that recalls certain Silicon Valley giants. The automaker’s latest brand exposure crossover item is a new charger that’s functional and Tesla-spirited. The Tesla Wall Charger with 14-50 Plug is a great idea for drivers who stray into the EV range hinterlands: it’s a portable charger that will salvage the wasted afternoon if recreation outpaces forward planning. It can be plugged into any NEMA 14-50 outlet, and, fully juiced, easily tossed into the trunk for trips outside of charging-station comfort zones. The new charger is also the first non-hardwired wall connector available for Tesla drivers. Drivers who aren’t interested in committing to a hardwired charging option quite yet can enjoy the flexibility of the 14-50 plug charger. And the price is a very agreeable $500. 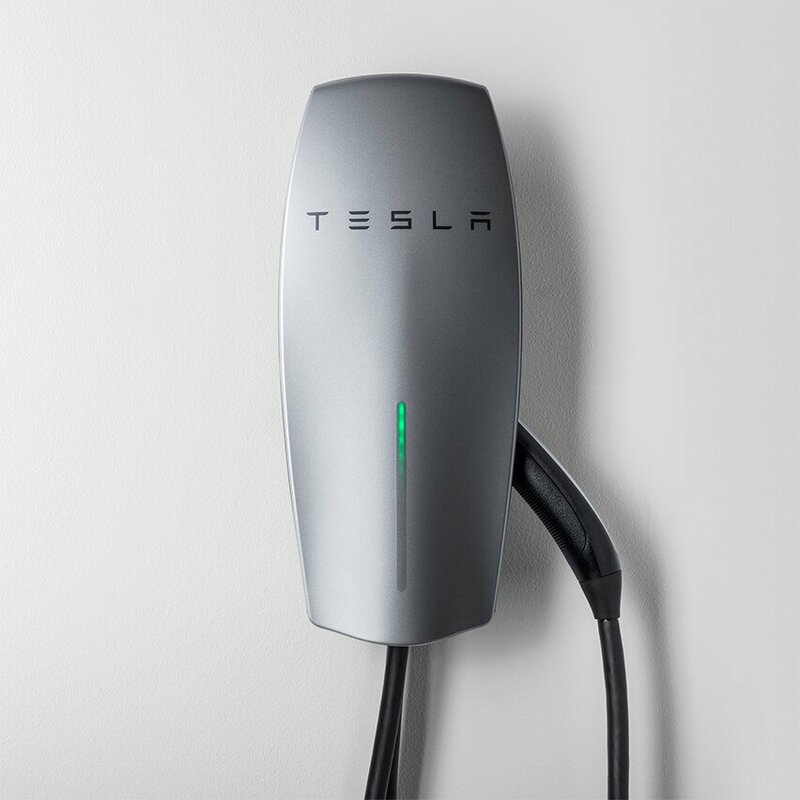 Tesla’s portable Wall Charger also guarantees 25-percent faster charging than the standard Gen 2 Mobile Connector.